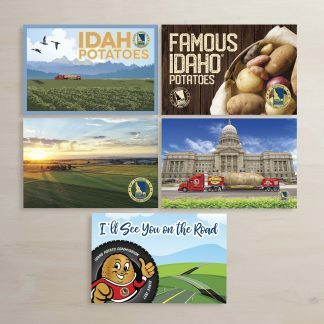 The Tater Team, Jessica, Kaylee, #andLarry had another memorable week on the 2017 Famous Idaho Potato Tour! 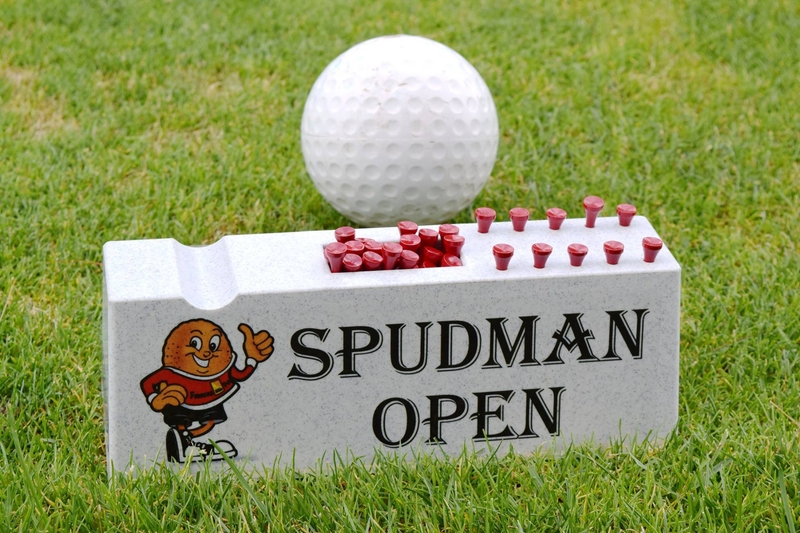 Their first stop of the week was at the Spudman Open, which is one of the oldest produce golf tournaments. It was named by a group of men who packed potatoes in the summer to earn money for their college tuition when it first started. This annual tournament has transformed over the years and has raised $500,000 since it’s beginning, and raised about $50,000 this year. Tom Yandow, the tournament coordinator, said he is always looking to make the tournament bigger and better. 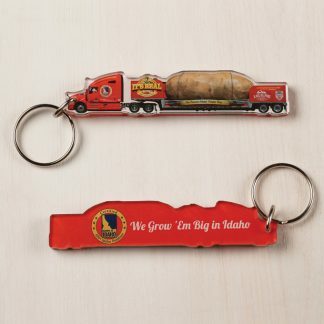 They have been trying to get the Big Idaho Potato truck at the event for years, and it was finally able to make the stop for the 41st Annual Spudman Open! Before the tournament began, each team made a stop in front of the truck for a photo with the Big Idaho Potato and Spuddy Buddy, the IPC mascot. The tournament check-in area was decorated with Spuddy Buddy balloons, signage, and plush toys! The Tater Team enjoyed their time spent mingling and golfing at the scenic Tunxis Plantation Country Club course. Larry was on a team with Seth Pemsler, The IPC Retail VIP, Joe Dibattista, the Sales Manager for Freshpoint Produce. The Tater Twins, cheered on the the team throughout the day! 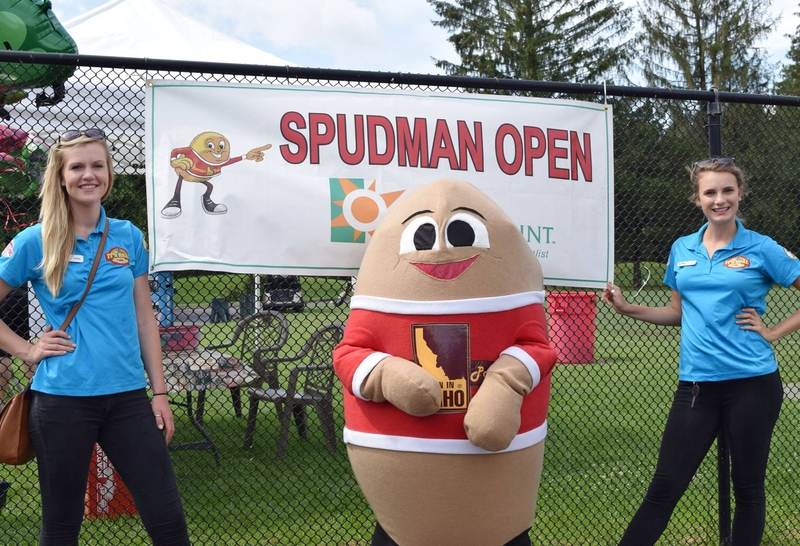 The #TaterTwins with Spuddy Buddy at the 41st Annual Spudman Open! After a long day of golf, a steak and Idaho potato dinner was prepared for the golfers to enjoy! During dinner, the Tater Team set up the “Big Helping” signature board for the Arthritis Foundation! Golfers lined up to sign the board and support the Arthritis Foundation and fundraiser. 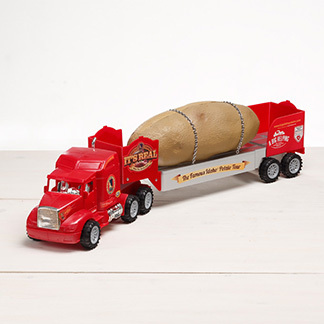 Later in the night, there was a charity raffle, and guest were able to enjoy the Spudman Open cake decorated with a photo of the Big Idaho Potato truck! 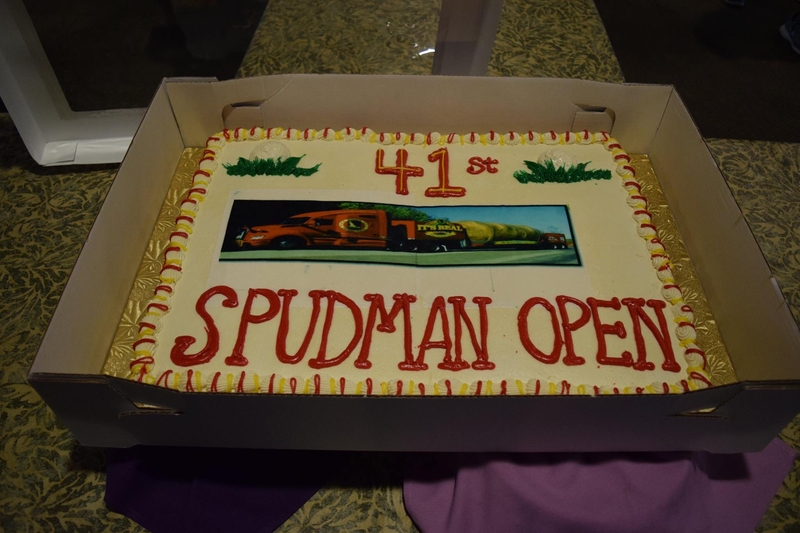 Overall, the 41st Spudman Open was a TATERific event and having the truck at the event made it a BIG success! The cake with the Big Idaho Potato truck photo! The next day the team set off to Saratoga Springs for the 2nd Annual Chip Festival held by the Saratoga Springs Lions Club! 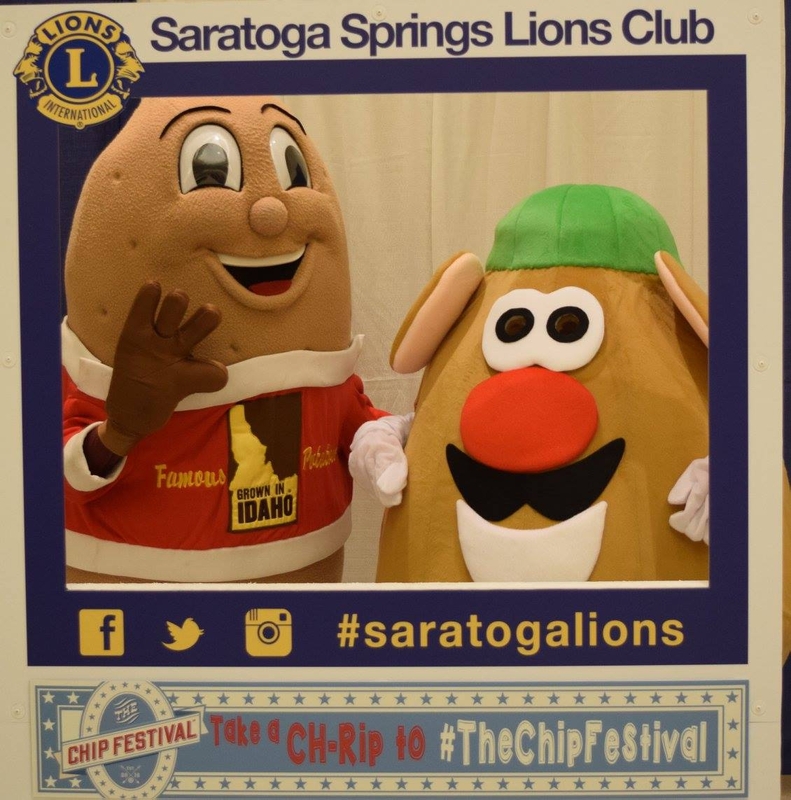 The Lions started this fun festival because the chip originated in Saratoga Springs NY, and it was a great way to raise money for the community and charities. This was a tasty event where chip companies passed out samples and bags of chips to the public! The local Channel 6 news was covering the festival and interviewed the team and Spuddy buddy before fans arrived! Chip Companies from around America were in attendance, and had free giveaways for guest! 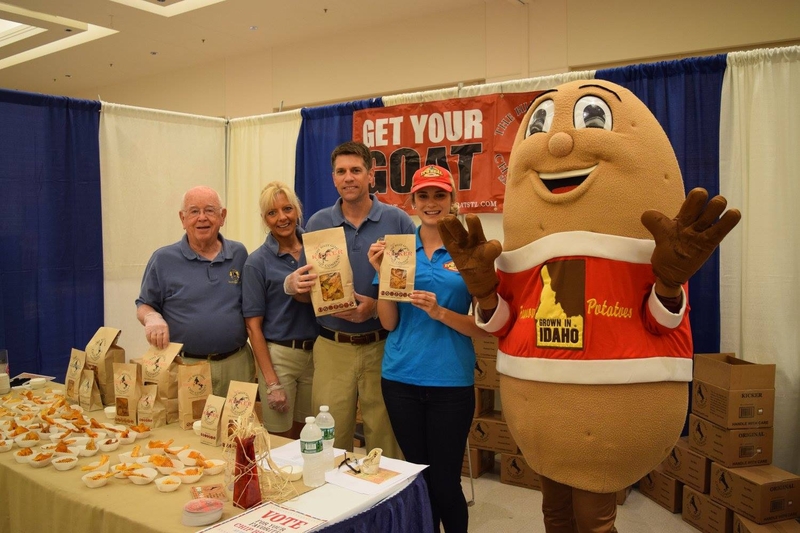 The Billy Goat Chip Company from St. Louis, had a booth at the event and competed in the Chip Contest! Jessica and Spuddy Buddy were able to make a stop to eat some of their delicious chips made with 100% Idaho Potatoes! At the festival they had a Chip History Museum hosted by the “Chip Guy”, Alan, who collects chip artifacts and had a vintage ad for the original chip made in Saratoga Springs, NY! They also had door prizes, a chip guessing game, and attendees could vote for their favorite potato chip brand! Culinary professionals were the judges for the chip contest and determined who won the title of Grand Champion Winner! The festival was a big hit with the locals and there was a constant flow of chip fans throughout the day! Spuddy Buddy with Mr. Potato at the 2nd annual chip festival! To end the week, the team had a relaxing day off in the quaint town of Weston, Vermont. They are on the move again, and are heading back to Hartford, CT for a couple Preschool visits! 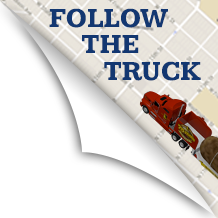 Keep up with the Tater Team on social media and follow their road trip across America!